History: Myrrh, Commiphora molmol is oleo resin, which was considered one of the treasures of the East for thousands of years. In the 5th century BC Herodotus notes that myrrh was used by the Egyptians for embalming. Egyptian women burned myrrh to clear their homes of fleas. In ancient times, myrrh was often burned to conceal the stench of the day. 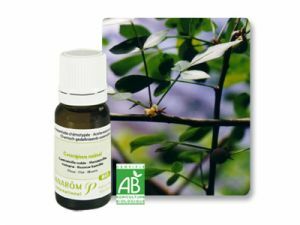 Action: antifungal, anti-inflammatory, antiseptic, astringent, antimicrobial, antispasmodic, stimulant for the immune system and blood circulation, bitter, expectorant, reduces phlegm. What are the valuable qualities of Pranarom cosmetique? "On the skin, the skin beyond the skin"
On the skin: Our products are easy and safe to use. They are specifically designed to be suitable for every skin type. Pranarom cosmetique will make your skin smoother and more radiant than ever. Dermal: All of our products contain essential oils with a specific chemotype. These oils have a wide range of aromatic molecules, which penetrate into the skin faster and deeper than most of the chemically-derived products in the market. They fall where it is necessary to take care of the damaged areas and to strengthen and beautify your skin. All this is a gift from nature to you. Beyond skin: skin metabolism is closely related to the nervous system. Our products contain organic oils that affect both the mind and skin. When your mind is calm, your skin reveals inner peace and restores its natural healthy look. How is this possible? Aromatherapy uses the delicate strength of aromatic molecules to address both the problems of the skin, and nervous tension that causes them.